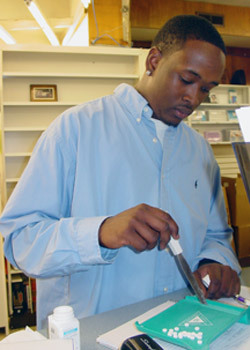 Activities develop and enhance knowledge of geometric relationships using dynamic computer software, constructions and scavenger hunts. Coursework focuses on building vocabulary and geometric thinking skills in preparation for entering Geometry in the coming year. Linear relationships and equations; graphing and translating rational functions; and an introduction to trigonometry are the major topics covered. Problem-solving skills curriculum for students who have completed Algebra I and Geometry. Activities include: Barbie bungee jumping using linear models to predict outcomes; M&M lab to model exponential growth and decay; TI graphing calculators used for learning patterns for graphs of rational functions; and Geometer Sketchpad. Students who have completed Algebra II, Pre-Calculus or the equivalent will use advanced mathematics applied to science and statistics learning how to use graphing calculators. Students solve non-routine problems, collect and analyze linear and non-linear data, use power regression techniques, compute the acceleration of gravity, and review trigonometry skills to analyze a map. Rising twelfth-graders work on a summer internships, such as at a pharmacy (pictured above), under the supervision of UW faculty and professionals in the business community. First–year seminars increase students’ understanding of themselves as young adults with valuable insights and experiences. UW–Madison faculty and public high school English teachers introduce new ways to view, approach, and cultivate the writing process. Second–year seminars focus on critical thinking and literary analysis for college–level writing can be applied across academic disciplines. First-year writing seminars increase students’ understanding of themselves as young adults. Second- year seminars focus on college-level writing and literary analysis. The fine arts curriculum is designed around a positive and friendly atmosphere where confidence, social skills, talent and self–esteem can grow. Multicultural understanding is strengthened through instruction in vocal and instrumental music, theatre, dance, computer graphics and art. 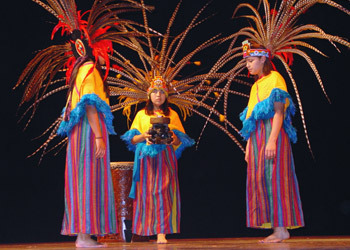 Coursework has included Afro–Brazilian martial arts dance, self–choreographed salsa and merengue pieces, Portuguese ballads, and unique instruments such as the berimbau and pandeiro. A finale program showcases students’ work in dance, drama, poetry, and the visual arts. Multicultural understanding is strengthened through instruction in vocal and instrumental music, theatre, dance, computer graphics and art. First–year science curriculum emphasizes hands-on inquiry to encourage excitement about science and its relationship to everyday life. Students explore career possibilities and are introduced to the breadth of scientific research on the UW – Madison campus. Small groups of 10–12 students rotate through biology, physical science and biomedical/health science. Second–year students receive an introduction to the major elements of a university science course: college–like lectures, laboratory activities, discussions, and graduate student shadowing. Research themes explore cloning, plant biotechnology, the human genome and bioinformatics, insect biodiversity, ecology of invasive species, and animal behavior. Students engage in the latest UW-Madison advances in nanotechnology, chemistry, civil and mechanical engineering. This rich, cross–discipline experience includes field trips, a research exploration portfolio and a capstone knowledge presentation at a science fair. 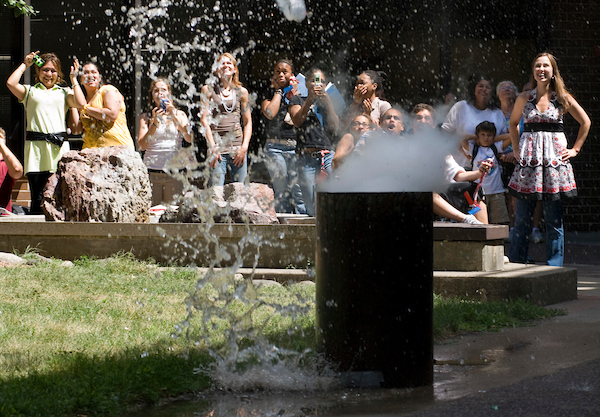 A group of high school students from the University of Wisconsin-Madison Pre-college Enrichment Opportunity Program for Learning Excellence (PEOPLE) react to the big bang of science, as they watch their instructors erupt a series of artificial "volcanoes" in a steel drum placed in the outdoor courtyard of Weeks Hall. Time management, note-taking, reading comprehension, speed-reading, and test-taking are presented with hands-on practice sessions that empower students to apply these skills to individual school work. Second-year students get a jump-start on the ACT by following a 3-week course delving into the content and structure of the exam. Strategies for preparing and taking the test improve self-confidence and understanding of English, math, reading, science, and writing portions of the exam. During the regular school year, UW–Madison faculty, staff, and students meet with PEOPLE participants for academic skills development sessions, college classroom experiences, campus orientation, cultural enrichment activities, and career exploration. On–site tutoring available at four Madison high schools ensures students maximize academic opportunities by receiving the best education possible to graduate strong and ready for the competitive college environment. Parent/student orientation sessions provide information about preparing for, applying to, and paying for college. Campus visits assist students and families in choosing an academic and career interest area. Help with navigating the college application process is always available. Feedback, questions or accessibility issues: people@cdo.wisc.edu.